Suitable for earlier 9.0SL Hubs? I have a white Sram 9.0SL hub from around 2001/2002 I think. Will this freehub fit, please? Unfortunately this will not fit your hub im afriad. SRAM X9. V2 or not? Hi, What´s the difference between this part and the SRAM X7 / X9 / Rise 40 Freehub Body? I have an SRAM X9, but I can´t differenciate if it is V2 or not. The picture looks the same. Also, is this just the hub, or it includes the three pieces in the second picture? This freehub is NOT the V2 version, so if your hub does not have V2 stamped on it then this should be the correct freehub that you require. You do get the small parts shown in the second image as well as the freehub body. Is This For Housing Sealed Bearing? Does this freehub take loose bearings or a sealed bearing? I'm after the version that takes a sealed bearing (type 6000). 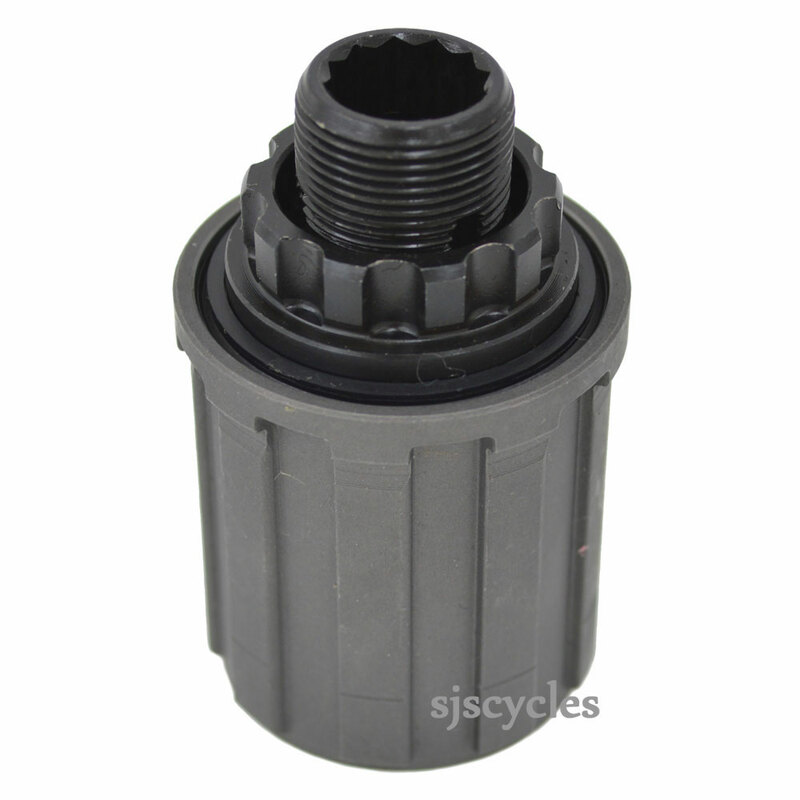 This freehub body is designed for use with sealed cartridge bearings. Is This Suitable For Ten Speed Sprockets? I Currently Have A Boardman Mtb .This I Think Is The Nearest To A Replacement Part On The Non-Branded Hubs. On amazon someone with a Boardman MTB found that the Free Hub body part for X9 V2 hub fitted the hub in question. Is this likely to be the same part. This freehub body will be able to take 8, 9 or 10spd cassettes but unfortunately we have got no way of knowing if this will work as a replacement I'm afraid.